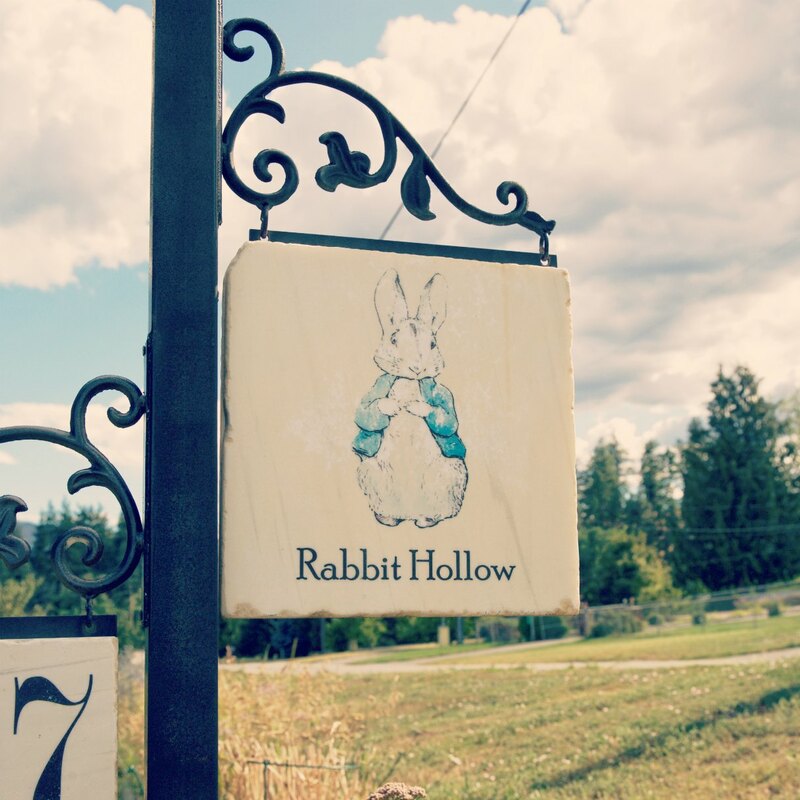 Tucked away on Paynter Road is a rural hideaway of culinary delights called Rabbit Hollow, the home base for The Chef InStead. From the front, a cute but otherwise unassuming home is all one might see. The only clue that a top quality chef lives there, aside from the inspiring orchard setting, is an impressive barbecue trailer. We walked up to the home, past the wood fired grill on wheels on which a pinup girl adorned it with the name ‘Taboo BBQ’. Chef Martin came out to meet us and took us around the back, and we suddenly understood the reputation Rabbit Hollow and The Chef InStead has. 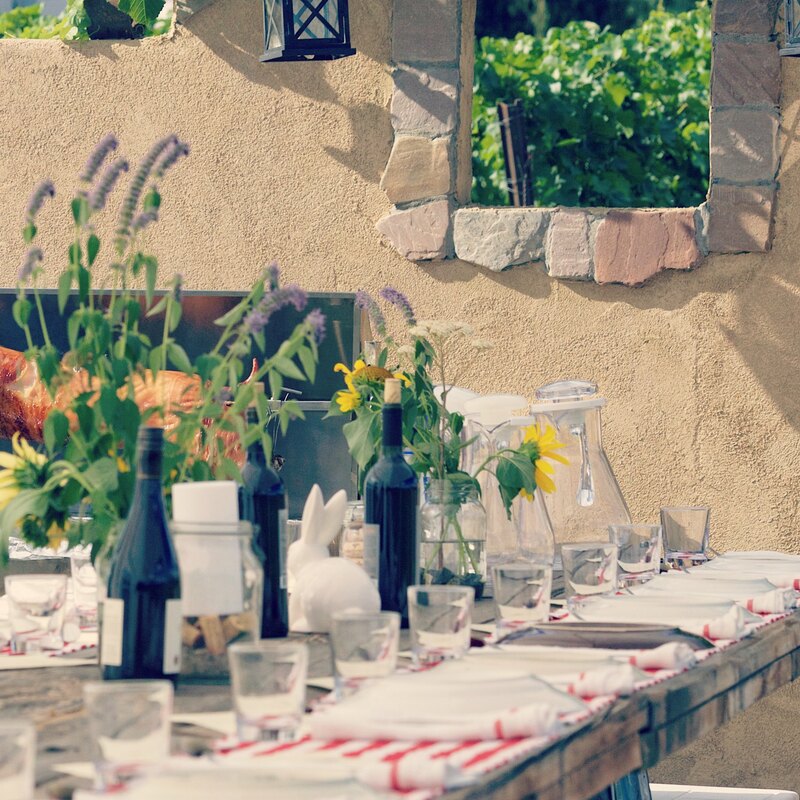 The backyard had been transformed into a gorgeous outdoor event space. The edge of the yard blended into a lush vegetable patch that stretched out row upon row. We were told that dinner guests often wandered the garden before and after meals. Succulent plants poked up from the gravel and planter boxes were filled with edible flowers. It was early afternoon when we visited and it almost felt Mediterranean in the space. The beauty is that it was constructed to compliment and highlight the natural elements of the area. 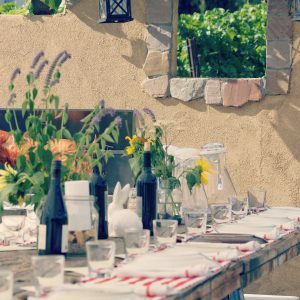 The space under the house deck has a tasteful bar and lounge area paved with castoffs from a local stone countertop company. “We do a little more every year,” Martin told us as we wandered past the rough-hewn wood table that seats up to 40 people. “You should see it when the tables are set.” (We found some photos with the space used for a long table dinner event – one word – gorgeous!). 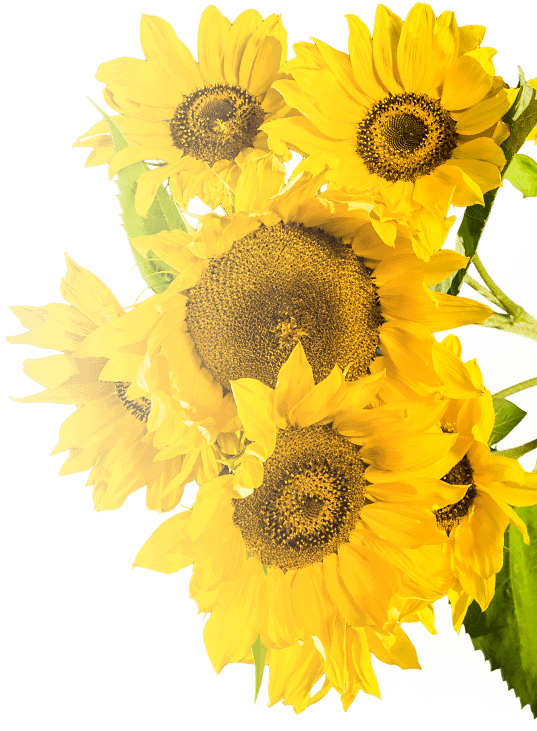 Local flowers and found dishware, no two pieces alike, finish off the casual atmosphere. More interesting than the lovely setting, however, is the experience offered. Martin clearly goes all out for his guests. The barbecues have spaces built for them right near the grand table. One space is dedicated to a spit for roasting pigs and another for a custom wood fired pizza oven where people can make their own pizzas and bake them in the clay oven adorned with ceramic art. Martin also sells precooked ribs and various other cuts of meat, along with his proprietary sauces and spices under the ‘Taboo BBQ’ brand that he started when he was on the professional barbecue circuit. To buy his products, contact him for a lock combination and instructions. Items can be picked up any time from his purpose built food stand. Just deposit the money owed in a lock box or send it to Martin electronically. 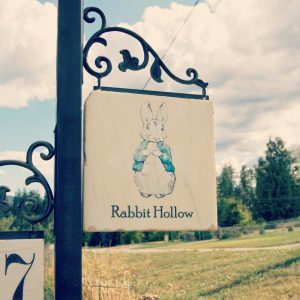 As a whole, Rabbit Hollow along with The Chef InStead (Chef Martin) is an experience worthy of those who prefer intimate settings and the most discerning foodies alike. Check out Chef Martin’s website http://www.thechefinstead.ca/index.htm and contact him for your next dinner event! Info: Rabbit Hollow is part of the Westside Farm Loop and is the ‘table in the farm to table’ of the Farm Loop. 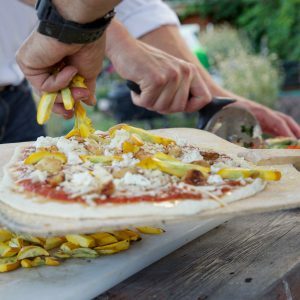 It is here that the Chef InStead offers culinary delights, long table dinner experiences and culinary workshops. Chris Munger and Jade Cowan are Visitor Centre Counsellors at the West Kelowna Visitor Centre. 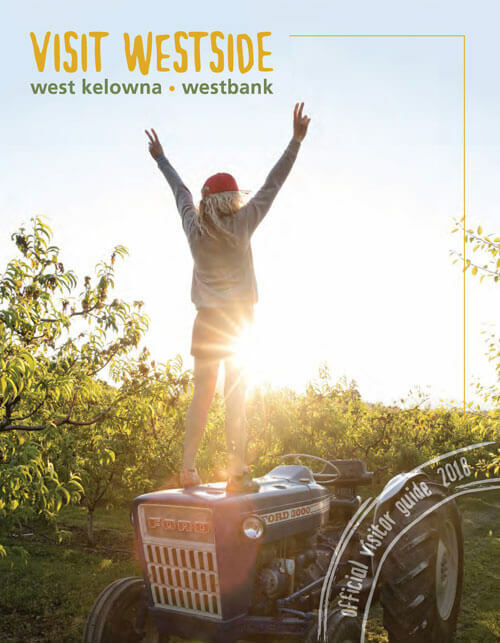 Give them a visit at 2376 Dobbin Rd (Hwy 97) for info on what to do in West Kelowna and around the Okanagan Valley.